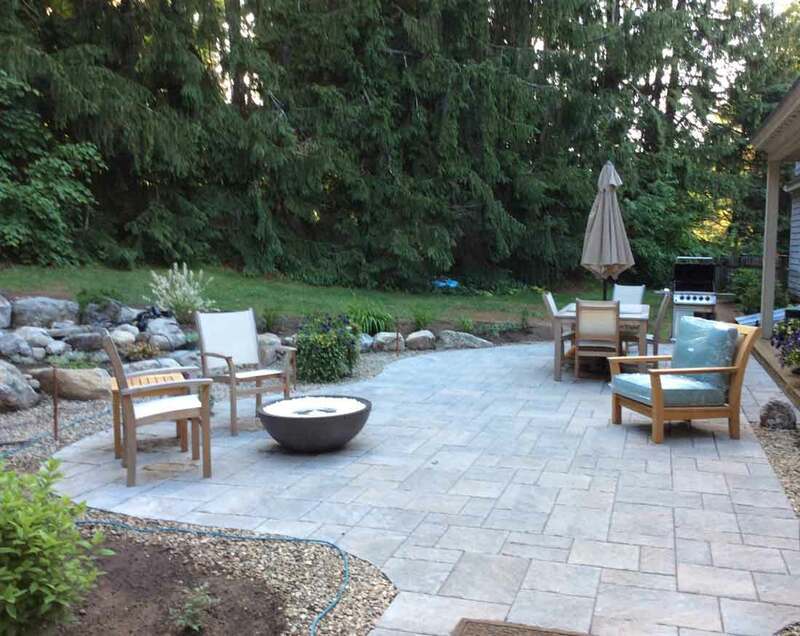 The goal of this client was to create an outdoor entertainment area. 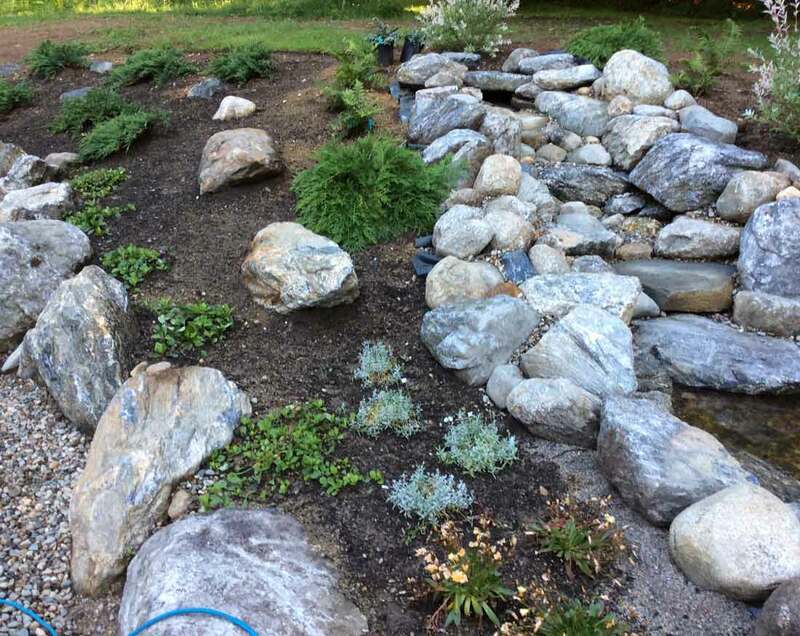 The design started with a patio only; however, the design process developed to include a boulder retaining wall and a water feature. 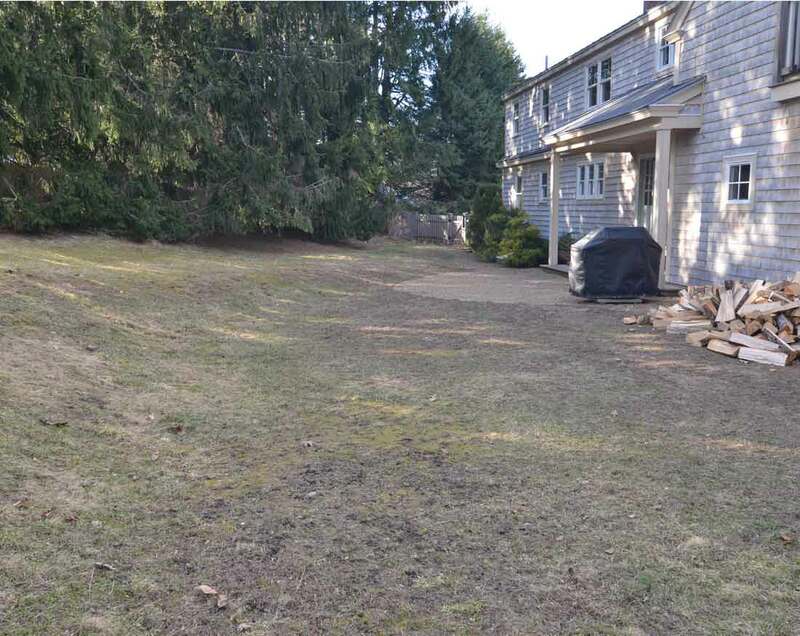 Before construction the rear yard was sloped and uninviting. 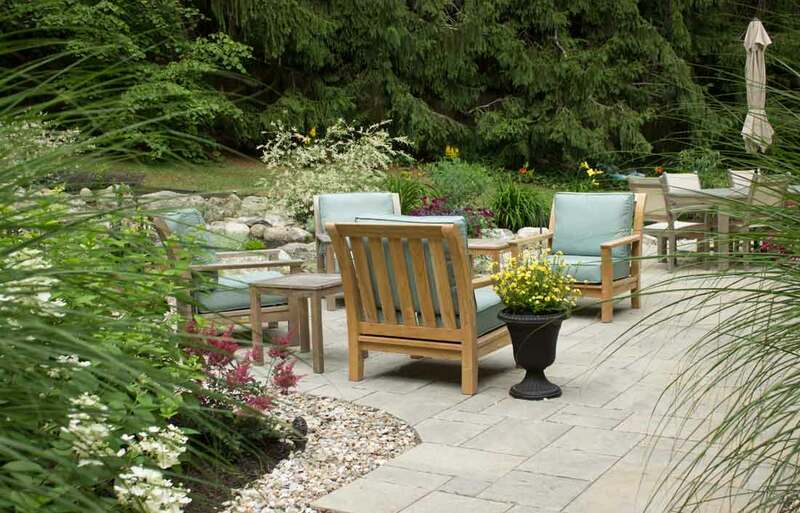 After design, a patio and water feature created a beautiful outdoor living space. The above photos show the before and after for this project. 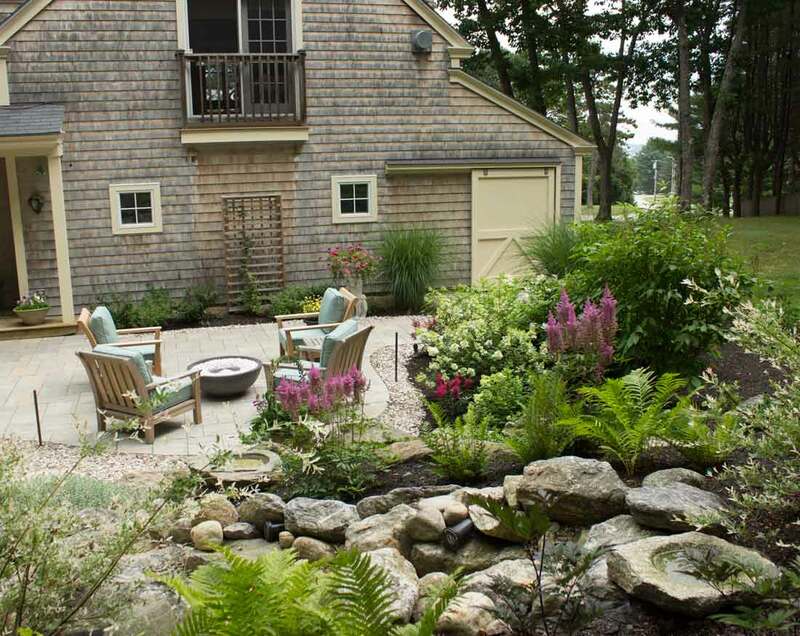 The design process helped the client to expand the initial idea of a patio into a larger patio to accommodate a seating area around a portable fire pit and also to include a boulder retaining wall and a pondless waterfall shown below. The waterfall utilized the grade of the slope with the waterfall at the top of grade. This shows the waterfall at top and stream bed. The plantings are in process.